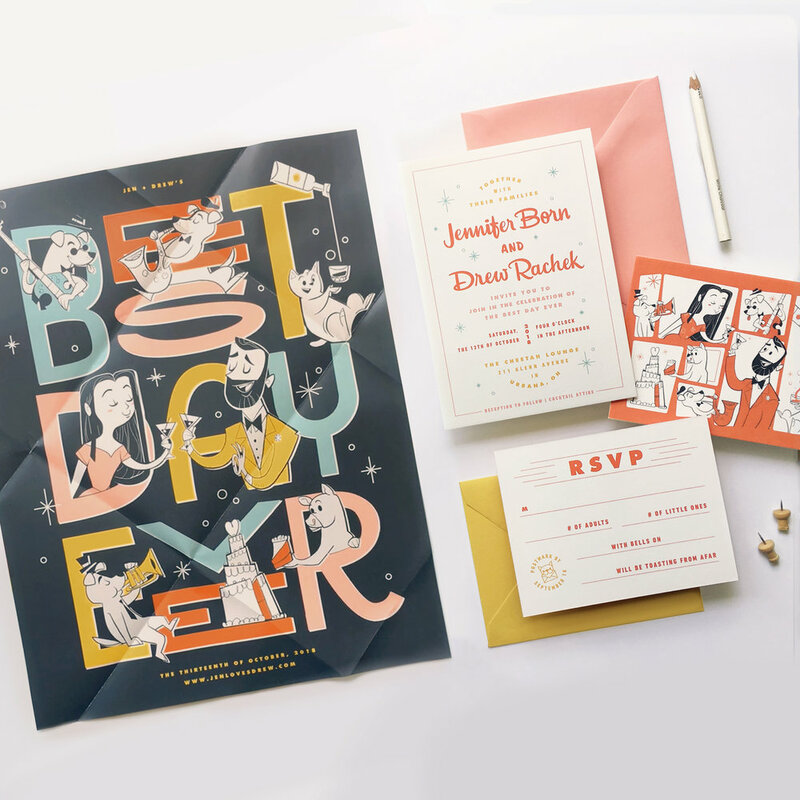 For this project, I teamed up with my wife, Rachel, at Imaginary Beast for a retro-styled wedding suite. 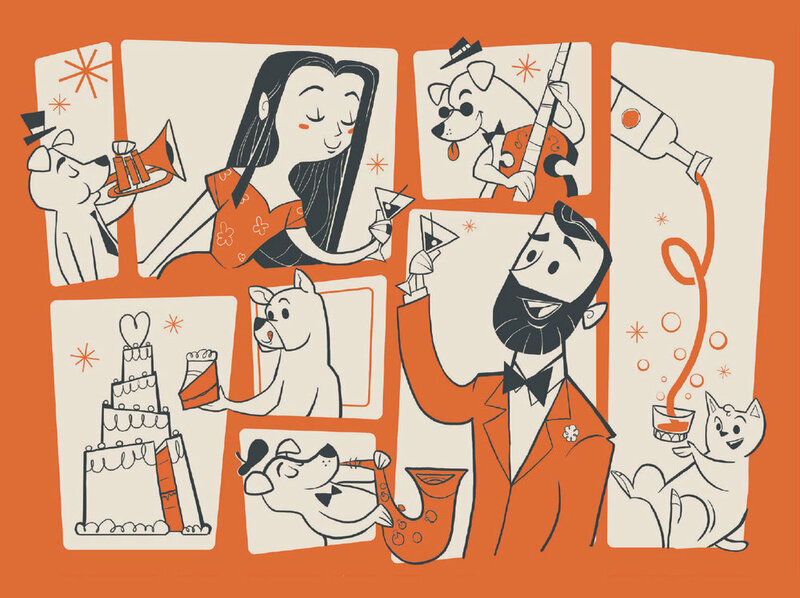 The couple was looking for a custom look that featured jazz, cocktails, and their five pets (four dogs and one 3-legged cat). 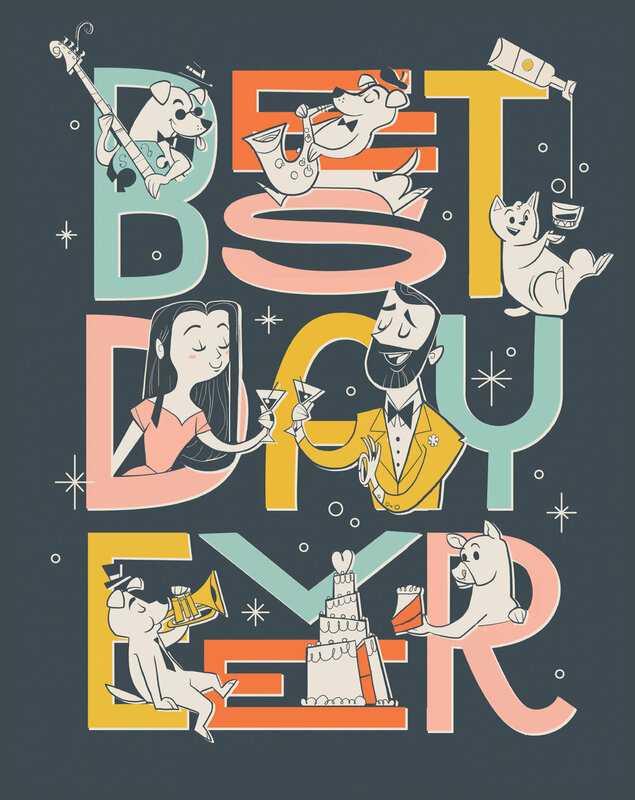 After researching illustration from the era, we solidified a style and color palette and decided to feature the animals in a swingin', brassy band.